How To Use Aloe Vera For Hair Growth? When the matter comes to hair growth, the prime aspect is patience.However, how much patience should an individual keep is also a question? The point is occasionally it takes not some months, but even some years to allow the hair to grow. It is known that Aloe vera is considered as the best product with which you can treat your hair for its growth. 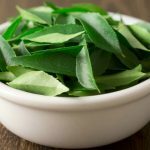 Essentially, this ingredient is a huge repository of amino acids as well as proteolytic enzymes which function to enhance the scalp health efficiently and to boost the growth of hair. Let us read to know how effective is aloe vera for hair growth. Does Aloe Vera Help Hair Growth? Aloe Vera is widely utilized in many beauty products and also for many good reasons. As per many dermatologists, utilizing aloe vera either alone or in combination can help to enhance scalp health by facilitating hair growth. It definitely assists to grow the hair as it possesses antiviral as well as antibacterial properties which are essential for hair growth. Besides, the obstruction coming into path of hair growth i.e., dead skin cells are repaired by proteolytic enzymes contained within aloe vera. There are different ways of resolving the problem of hair growth through the use of aloe vera. However, it is vital to remember that you must make use of fresh aloe vera or its gel. Also, there are few specific techniques guaranteed to give you desired results. In addition to hair loss prevention, fresh aloe vera consists of enzymes to boost hair growth by assisting your locks to keep hold of moisture, and by removing dead skin cells out from your scalp. Apply this mixture of Aloe Vera & olive oil on the scalp and hair. Work in sections that way you will know you have not missed any part. Massage the scalp and hair. Sit for an hour or so. Wash the hair and dry it. How it works: Aloe vera owns chemical composition identical to that of keratin, known as the key protein of hair that assists in nourishing as well as revives the hair. Repetitions: 2 to 3 times a week. Best time to Apply: In your free time. Tips: Take care to apply the mixture for around 30 minutes and then wash it completely. Castor oil is recognized as an outstanding treatment that assists to boost hair growth along with adding volume. The inclusion of aloe vera along with Castor oil allows stimulating hair regrowth, as well as treats hair, fall properly. In one bowl, combine Castor oil and aloe vera gel. Now add around 1 cup of Basil powder and 2 tbsp of Fenugreek powder. Mix the blend till you get a smooth and consistent paste. How it works: The mix will function to feed the hair follicle. Besides, it would possess the unique ability to penetrate the deep layers of skin. Best time to Apply: During your sleeping time. Tips: Ensure that the paste you make is smooth and consistent. Vitamin E is essentially the lipid-soluble antioxidant which functions to repair damaged hair. Properly mix the Castor oil and Olive oil in a bowl and in this mixture, empty the contents of two capsules of vitamin E.
Gently massage your scalp by using the mixture through your fingertips. It is recommended that you use circular motions in order to gain the maximum effect. Now wash your hair after a period of half an hour by warm water. How it works: The mixture will penetrate deep into the scalp in order to treat broken hair follicles, by avoiding tissue corrosion. 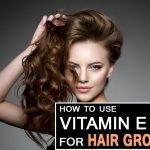 The particular property of vitamin E helps in hair growth. Repetitions: Twice or thrice a week. Tips: Leave this mixture on your hair for minimum 20 minutes and then carefully wash off it by using a mild shampoo. Olive oil is identified to be a rich source of vitamins A and E which assists in reinforcing the hair strands and exciting the hair follicles. Besides, massaging the scalp by using aloe vera and olive oil encourages blood supply to the scalp and guarantees healthy hair growth. First, take 3 tablespoons of olive oil and 2 tablespoons of aloe vera gel in a bowl and mix them well. Now apply this mixture in order to massage your scalp for around 10 minutes. Now leave this mixture for additional 30 minutes and then wash the scalp using a mild shampoo. How it works: The particular mix comprises of essential fatty acids, iron, zinc, and vitamin A, C, which assist in facilitating hair growth. Besides, the mixture also nourishes the hair roots. Tips: Make sure that you leave the mixture on your scalp for 30 minutes prior washing off with shampoo. The properties of apple cider vinegar along with the healing action of aloe vera are combined in order to heal parts of your hair which are actually more damaged. The mixture will fight against frizz allowing proper hair growth and hair styling. Prepare a hair mask by mixing 1 spoonful of apple cider vinegar, 2 spoonfuls of aloe vera gel, and half a cup of water. Gently apply the mask on the scalp and cleans it off after 20 minutes. How it works: The healing properties of apple cider vinegar clean hair. It also allows you get rid of buildup and creating curls which have shine and bounce. Tips: Take care to distribute the mask all over the hair, and after 20 minutes, wash it with lukewarm water only. Lemon juice contains a moisturizing and anti-fungal property which aids to rinse out the scalp, boost hair growth and hair in natural moisture. In one bowl, properly mix the aloe vera gel and lemon juice till both of them are blended well. Now carefully apply this mixture to your scalp and hair till they are completely covered in the mixture. Now leave this mixture for a period of 30 minutes and then cleans it off with a mild sulfate-free shampoo. How it works: The mix is found to possess antimicrobial properties. These properties are such that it will prevent bacterial growth and promotes hair growth. Repetitions: 1 – 2 times a week. Tips: Make sure you gently massage the scalp for approximately 10 minutes. Coconut oil and aloe vera creates an outstanding conditioning recipe that assists seal moisture within the scalp. Besides, the mask will even help to maintain your hair; hence you need not trim your hair frequently. Initially, take a bowl and combine 3 tbsp coconut oil, 5 tbsp aloe vera gel, and 2 tbsp honey. Now initiate the treatment by massaging this mixture to your scalp and then apply it down to the tips of the hair. The mix of Coconut oil and aloe vera is found to be rich in antioxidants. Besides, it holds powerful antiviral, anti fungal as well as antibacterial properties that combat fungal infection, along with enhancing scalp health and also boosts hair growth. Tips: You need to focus on the tips because these tend to be the most damaged segments of your hair. The combination of aloe vera and Green tea recover your hair health while too minimizing damage. It is known that Green tea is essentially one of richest sources of antioxidants, helping to neutralize scalp damage and hence it promotes hair growth. In a bowl, take fresh aloe vera gel and freshly brewed green tea. Mix this combination for few minutes. Gently massage the mixture into your scalp. 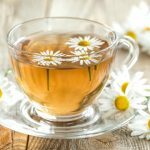 Green tea is known to be a good source of panthenol, which is frequently utilized in shampoos as well as conditioners to strengthen your hair. Besides, it comprises of unique amino acids named theanine. This amino acid in association with panthenol functions to strengthen the hair shaft as well as avoids split ends. Repetitions: Once or twice a week. Tips: When you blend the mixture, make sure that there are no lumps because these can stick to your hair. Coconut milk owns amazing conditioning properties that aid to maintain the health of the hair. In addition to that, it even functions to nourish the hair and scalp. It is known that this mask enables deep penetration within the scalp in order that it could be nourished from within. Take one bowl and mix all the ingredients till you have a smooth mixture. Now start massaging the mixture inside your scalp and apply the mix from roots to the tips. After the hair and scalp are entirely covered in the mixture, work to cover the hair by using a shower cap. Now leave it for around one or two hours. Now wash your hair using regular shampoo. The mixture will assist to stimulate undeveloped hair follicles and facilitates hair regrowth. Also, it boosts healthy hair growth. 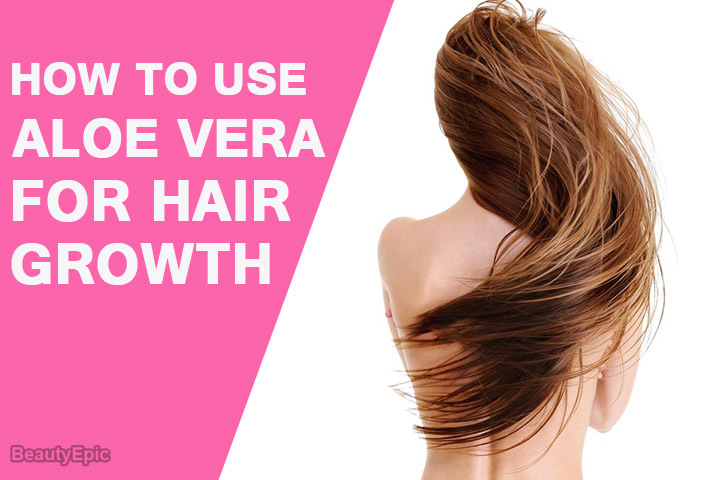 Indirectly, this would enhance the volume of hair along with enabling fast hair growth. Tips: Make sure that you massage the mixture into your scalp and work it through your hair till the hair is full of the liquid. Cayenne pepper is known to be utilized as a natural medicine for ages. Its active ingredients contain capsicum and capsaicin. Both these ingredients possess beneficial health properties for the growth of hair. Take one bowl and combine half cup fresh aloe vera gel and one tbsp cayenne pepper until the mixture is made smooth. Now take around one tablespoon of this mixture and gently massage it into your scalp. Capsaicin present inside Cayenne pepper assists in enhancing hair growth. The blend of Cayenne pepper and aloe vera activates proper blood flow right from the hair roots towards the follicles. Thus, it supplies vital nutrients to the hair and scalp. Tips: It is recommended to wait for a few minutes in order that the topical application can boost the circulation inside your scalp. The combination of olive oil and aloe vera is not only considered as a superfood for your hair,but it would also enhance hair growth to the new level. Firstly, whip two eggs in 1 tbsp fresh aloe vera gel carefully. Now mix 1 tbsp of Olive oil into it and gently apply it on the hair and scalp and allow it sit for around 15 – 20 minutes. Carefully rinse your hair by using cool water and then repeat it frequently as a natural hair conditioner to the hair. How it works: Eggs possess proteins and many other essential nutrients which work to condition and nourish your hair. Along with that, aloe vera works to add shine to your hair. Tips: Take care to combine equal parts of olive oil and aloe vera. It is possible that different people have different hair condition and also have a different rate of growth of hair. You can speak to your hair specialist to further discuss on proper growth of hair in a suitable way. 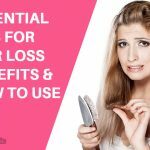 Vitamin E Oil For Hair Growth – How To Use It The Right Way? The Best Vitamins for Hair Growth: What to Choose?